In this interview, we have had a talk with Master Carsten A. Pedersen. His taekwondo life dates back to 1986. His choice of starting Taekwondo was actually based on a lack of options and a scary experience. “My Taekwondo life began in Thisted in 1986, when I started in Thisted Taekwondo Club, which later changed its name to the Thisted Sun-Do. The reason why I started Taekwondo was basically that there were not many offers on the martial arts scene in Thisted at the time. There was Judo, Jiu-Jitsu, Boxing, and Taekwondo. At that time, I was about 13-14 years old when I got the idea of starting something inside martial arts and began to explore the possibilities. In his early years, Carsten developed a strong foundation, and by one of his instructors, he was assigned to help with the training sessions. 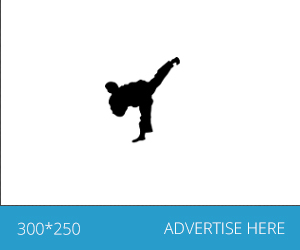 A couple of years after, he got experience with starting a new taekwondo club. “My Taekwondo life evolved quite quickly when at a very young age I came under the wings of one of the most experienced instructors in Thisted and became green belt assistant instructor. Since then I have trained continuously. In 1991, I was from Thisted trained to first dan in the union’s summer camp in Skæring and at that time I was about 18-19 years old and in a rapid development process. While I was still in Thisted, my instructor at that time asked me if I could open a subsidiary of the Thisted club with him in a small town called Hurup. Which we did and with great success for some years. Some time and some graduations later, I moved to Nørre Nissum to attend teacher training college, and while I was there, I opened a small club for some years until I stopped my studies in 2002. The club was run during the years I studied but unfortunately closed when I left the seminary. That was in 2002. Towards the end of my college time, the Danish Taekwondo Federation asked me if I would be included in the staff of Dan practitioners. I was at that time graduated to 4th dan. So I started there and exercised my work with the experienced instructors. Shortly after Sim Uu Taekwondo appeared, and since I had always had Master Ko Tai Jeong as Master, it was natural to me to be part of the association. Thisted Sun-Do was among the core clubs and I became part of Sim Uu in Thisted club. When Sim Uu shortly after started their own dan graduations, I was picked out among associated to undertake this task. 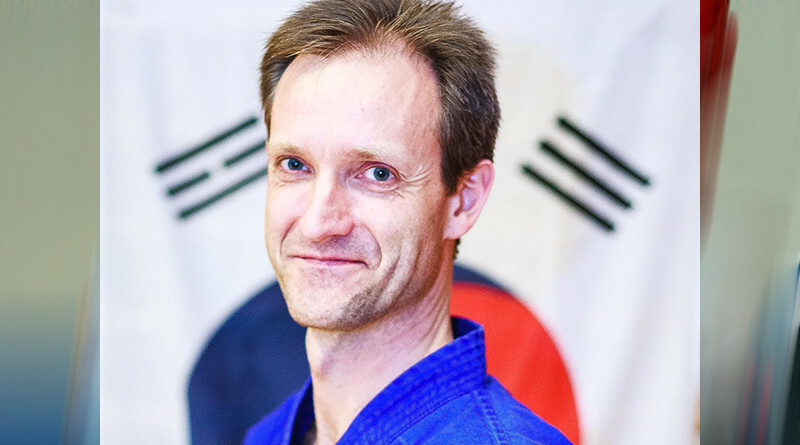 In Sim Uu I was a firm part of the Dan trainer staff for 15 years until I left this job and returned to the Danish Taekwondo Federation where I still find myself as Dan trainer. Since then, I have left everything in Thisted and moved to Sealand, where I met my wife on a Sim Uu Summer Camp. She lived in Helsingør and I moved in with her. This also meant shift of club choice and I started upon arrival at Sealand in Nørrebro Sonbong, but has since then been changing to other clubs and worked as chief instructor, including the clubs Copenhagen Taekwondo Club, Sundby Taekwondo Club, and Gladsaxe Taekwondo Club. Taekwondo means different things, for each and everyone training Taekwondo. But many will agree that especially the extraordinary kicks are in favor, for many athletes. In my optics, Taekwondo is so special on a variety of topics. 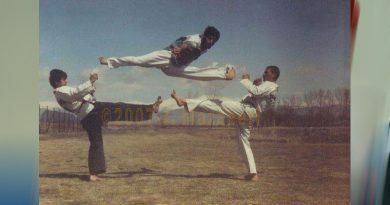 I was deeply attracted by the spectacular kicks and techniques and not least the Asian angle with discipline and respect – also exist in many other martial arts. So this is not something unique. But for me it was the techniques and that you use both sides of your body evenly so as not to be locked to work with one hand”. Even though Carsten has won championships and got medals, his absolute motivation lies in his contributions to sport and education of his students. “My greatest achievements is to have helped train plenty of new black belts. I also participated in events, both in fighting and poomse which resulted in medals, but to me, it is the joy of giving my knowledge to others which matters most. I am particularly proud to have undertaken training of 4 people who have taken their Sabumnim degree under my guidance. Including two for 4th dan, one for fifth dan and one to seventh dan. In each life there are obstacles, but it is how you deal with them, which determines the outcome. Carsten is not going to be stopped by an upcoming hip surgery. He will always have dreams and goals. It is a continuing wish to contribute to share my knowledge and to educate those who come after me and thus put my fingerprint on Danish Taekwondo. Moreover, it is my goal to continue to train and improve my skills even though I have an upcoming hip operation. This shall not stop me in my development. Another goal is to explore other branches of martial arts such Kyusho and Systema which locomotor and engineering wise can be transferred to Taekwondo. Hereby I hope to add new and interesting angles on my sound Taekwondo. A lot of people starting with Taekwondo will stop again. It is a lifelong journey requiring a high level of engagement in keeping the motivation. My advice to people wanting to start Taekwondo would be to examine all options available for them in their immediate local area, go visit the club and maybe take a few trial lessons before deciding. Membership of a club means that you “bind” yourself if you really want to achieve something with the sport and it requires lots of hard training. Unfortunately, the vast majority will give up. I am the only active person left from my team from 1986. 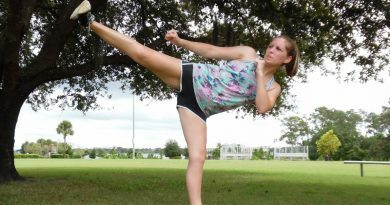 ← Meet Ida Tammila, a young Finnish Taekwondo Athlete, in this inspiring story of her Taekwondo life.